Acting Eskom CEO Brian Molefe. Johannesburg – The risk of a total power blackout in South Africa at any point in future is “out of the question”, acting Eskom CEO Brian Molefe said on Wednesday. He gave this assurance despite conceding that power plants were “ageing and volatile”, that cold weather had increased demand, and that maintenance would put strain on an already strained system. Planned maintenance would take 5 500 MW out of the system this winter, more than three times the amount of previous winters. There would be load shedding “here and there”, but efforts would be made to keep it to a minimum. “There’s a sweet spot somewhere in the middle, there’s a give and take between the two objectives. Eskom was spending about R1.5bn a month on diesel to power its open cycle gas turbines. Included in its request to the National Energy Regulator of South Africa for a 24.7% electricity tariff increase was the need for R10.9bn to buy diesel for the gas turbines. 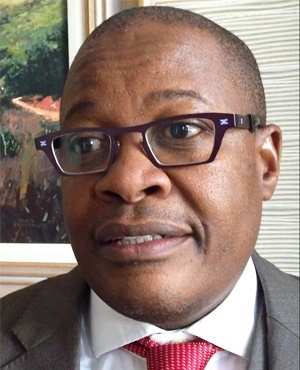 Molefe said the power cuts in the week starting June 8 were caused by an increase in demand, more unplanned breakdowns, and the loss of 800MW from a solar generation plant in the Northern Cape due to cloud cover.